Associate Professor Anna King's research focuses on investigating the neurodegenerative diseases of aging, including frontotemporal dementia, Alzheimer's disease and motor neuron disease. She is particularly interested in determining the mechanisms by which the connections between nerve cells are lost in these diseases. 'The clinical symptoms of most of these neurodegenerative diseases are not due to cell loss or the pathology, but the loss of connections between nerve cells, so they can no longer 'talk' to each other,' said Associate Professor King. 'Nerve cells are very specialized and unique cells. They have a very distinct shape, which is important for the way they function. The shape of a nerve cell is dominated by the long nerve processes, which, like electrical wires, are responsible for connecting nerve cells with each other. What many people don't realize is that sometimes over 99% of the cell is in these nerve processes, yet we really don't know much about how they function,' Associate Professor King said. Associate Professor King says a lot of her work is at a very cellular level. Associate Professor King says that in order to understand disease, it is important to understand normal function. Associate Professor King is also interested in why these neurodegenerative diseases are related to ageing. 'Some people have mutations that cause these diseases, but they don't develop the disease while they're young, instead the disease develops as they get older. We need to answer the question of why there is a connection between neurodegenerative diseases and ageing and what's changing in healthy ageing, and what the difference is when we get disease,' said Associate Professor King. Associate Professor King works for The Wicking Dementia Research and Education Centre, which is a multi-disciplinary group that brings together all aspects of dementia research, care and education. It's part of the University of Tasmania College of Health and Medicine and receives its core funding from the JO & JR Wicking Trust. 'In the Wicking Centre, we're interested in educating people about dementia' Associate Professor King said. 'It's very important that those involved with working with people with dementia, understand these neurodegenerative diseases, what causes them, why people behave the way they do and the special needs they have. We're keen to combine our research with educating the public and people in care situations,' she said. 'These diseases are becoming more prevalent now because we have treatments for a lot of the other diseases that people used to die from. So people are living longer. These diseases are becoming more prominent in our community and we are really not prepared for this,' said Associate Professor King. She says there is some evidence now that for diseases such as Alzheimer's disease, a proportion of cases could be prevented or delayed by modifying lifestyle factors throughout life. Risk prevention, in other words. 'At Wicking we're looking at whether cognitive stimulation can improve outcomes in terms of the symptoms of the disease. For example, using your brain in new ways to build up your resilience for when you get older and you're losing those connections,' Associate Professor King said. The higher the education you have, the lower your risk. However, ultimately there will still be some people who need treatment and care, Associate Professor King says. The brain can withstand a lot of pathology before we see anything happening. We need to be catching things earlier. We know now that although symptoms occur at a certain (advanced) age, there is a long period before the disease actually presents, during which we're developing the pathology. This can go on for fifteen years or so before we actually develop clinical symptoms. It's important to be looking in those early stages for strategies to help people,' Associate Professor King said. Associate Professor Anna King is an NHMRC Boosting Dementia Research Leadership Fellow and Associate Director (Research) at the Wicking Dementia Research and Education Centre in the College of Health and Medicine. She leads an active research team in the field of neurodegenerative disease and ageing, including Alzheimer's disease, frontotemporal dementia and amyotrophic lateral sclerosis. 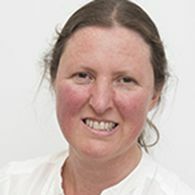 She works alongside other University of Tasmania researchers to investigate basic pathological mechanisms of disease, preventative and therapeutic strategies as well as the development of biomarkers to determine brain health. Associate Professor King's key research interest is in investigating how the connections between nerves cells are lost in neurodegenerative disease with a focus on protective strategies. Since starting her PhD in 2004 she has authored more than 50 peer-reviewed papers in well-regarded Neuroscience journals such as Acta Neuropathologica, Neurobiology of Ageing and Human Molecular Genetics. These papers have been cited over 1000 times. Her research has attracted over $4.5M in funding including NHMRC and ARC grants and fellowships. Unit Design and Co-ordinator, The Art & Science of Clinical Trials (CAD303). Anna's research closely aligns with the University's research theme of Better Health as well as the Dementia flagship in the College of Health and Medicine. Her interests lie in investigating the changes in the nervous system that accompany normal ageing as well as the development of age-related neurodegenerative diseases including Alzheimer's disease, frontotemporal dementia and amyotrophic lateral sclerosis. There is accumulating evidence that the clinical symptoms of these diseases are the result of the loss of connectivity between the nerves cells but there is little understanding of the mechanisms by which nerve cells loose connectivity in disease and the contribution that ageing plays to this. Additionally, harnessing the ability of the brain to renew connections (brain plasticity) in ageing and disease may help prevent this loss. Axonal plasticity, pathology and the mechanisms by which axons degenerate in neurodegenerative disease and injury. The role of the neuronal cytoskeleton, including neurofilaments and microtubules in axonal and synaptic function as well as neurodegeneration. The role of glial cells, such as oligodendrocytes, microglia and astrocytes, in maintaining axon function. Prof Julie Atkin (Macquarie University) on research projects in motor neuron disease and frontotemporal dementia. Their joint research has resulted in a number of publications including the highly cited first article to describe the potential role of the C9ORF72 protein in membrane trafficking (M A Farg, et al., 2014 Hum Mol Genet). Dr Anthony Cook (University of Tasmania) and Professor Alex Hewitt (University of Tasmania), to develop the use of stem cell technology to investigate mechanisms of neurodegenerative disease. Prof Michael Breadmore (Chemistry, University of Tasmania), Professor Rosanne Guijt (Deakin), Prof Tracey Dickson (Menzies Institute for Medical Research, University of Tasmania) on projects to develop microfluidic technology for dementia research including development of point of care biomarker devices. Project title: Excitatory-Inhibitory relationships in cerebral cortex affected by the pathology of Alzheimer's disease'. Older people in residential aged care are vulnerable to aspiration pneumonia, which is a primary reason for hospitalisation. Links have been drawn between this vulnerability and poor oral hygiene, prompting interventions in teeth cleaning. To determine the effectiveness of teeth-cleaning interventions objective measures are needed, such as microbiological testing. The goal of this study is to develop and validate a microbiological measure of effective oral hygiene to be used in a large-scale intervention targeting oral hygiene in residential aged care facilities. The aim of this subproject is to develop and validate a qPCR protocol for analysing solutions derived from swabs of oral tissue to quantify numbers and distribution of pathogenic bacterial species within a complex microbiological ecology. This protocol will later be used to determine the change in type and load of oral microorganisms following a period of daily oral hygiene. Neurons signal to each by sending electrical impulses along their axons to the connections between neurons, the synapses. Loss of this signalingin thought to be the underlying cause of the clinical symptoms of dementia, correlating closely with cognitive decline. This loss of connectivityis accompanied by various types of pathology in the brain such as accumulation of extracellular beta amyloid and intracellular tau, although theconnection between pathology and neurodegeneration is not yet clear. One of the biggest challenges we face in developing treatments fordementia is the need to monitor the changes that are going on inside the brain of living individuals. In order to do this, we need to developbiomarkers; measurable biological indicators of a disease process. While there has been significant progress in the development of biomarkers toindicate the presence of pathology in the brain, biomarkers of neurodegeneration, which may be a correlate of brain health, are lacking. I have adeveloping international reputation in investigating the mechanisms by which nerve cells lose their connections in dementia, with the goal ofidentifying targets for therapeutic intervention. Capitilizing on my current expertise I propose to bring together preclinical work in animalmodels of dementia with a human cohort study to fully characterize blood based biomarkers that reflect the neuritic and synaptic changesoccurring in the brains of people with dementia. Working with Professor Michael Breadmore (University of Tasmania, ACROSS), an international leader in the development of portable analytical devices, I will then develop a point of care analysis tool to monitor brain health inboth rodent models and people at risk of dementia. Working at the Wicking Dementia Research and Education Centre, a multidisciplinary teamacross neuroscience and health services, I am well placed to bridge the gap between research and industry, and to lead a new directive indementia research. Nerve cells communicate with each other and their targets, such as muscle, via long processes called axons. In motor neuron disease these nerve cell processes degenerate and are lost, resulting in a loss of movement. Several mechanisms or axon degeneration have been recently identified, but we dont know which of these mechanisms is involved in motor neuron disease. In this project, we will use two models to determine which mechanisms of axon degeneration are involved in nerve process loss in motor neuron disease. This will allow us to determine which molecules to target for therapeutic intervention. This study will determine how glucocorticoid stress signaling influences Aβ processing (and vice versa) in primary neurons from APP/PS1 transgenic mice and wildtype controls. This pilot grant will map gut microbiota in three populations:A) Individuals with a clinical diagnosis of dementia: Individuals identified by a clinician as living with dementia will be recruited (n=20). These individuals must be residing in the community as gut microbiota alterations are known to be dependent on the environment (13).B) Spousal caregivers for those living with dementia: Carers of individuals living with dementia are six times more likely to develop dementia (14). Stress is a leading theory for this occurrence, however shared gut microbiota is a potential unexplored link. This group potentially represents the pre-clinical population where alterations to gut microbiota are occurring before symptoms are established (n=20).C) Spousal caregivers providing informal care to someone who does not have dementia: A cohort of individuals providing care to a spouse living with a chronic illness will be recruited (n=20). This group will provide evidence as to whether the disease and/or gut microbiota influence AD development.By determining the gut microbiota diversity in these populations, we will begin to understand whether gut microbiota influences cognitive decline and dementia. Initially this will be a cross-sectional study but if data are promising then it will lead to a longitudinal study. Inflammation has been implicated in premature ageing of the brain and the development of neurological disease (1). Microglia are the inflammatory cells of the brain, and currently it is unclear whether they are active (driving pathology) or passive (a bystander) in the ageing and neurodegenerative processes. In response to disturbances in the microenvironment microglia are capable of secreting both pro- and anti-inflammatory cytokines to restore homeostasis. With subsequent disturbances, microglia mount an exaggerated response, due to priming. Increasing age impedes microglias ability to perform the most essential of homeostatic functions. At this time microglia are known as dystrophic; stuck in a pro-inflammatory phenotype. Understanding this switch to a pro-inflammatory state may aid in preventing the effects of ageing through modulation of microglial activity and offers a novel target for therapy to slow the progression of neurological disease. For this to be effective, we must first define the precise roles of microglia in ageing and neurodegeneration. By determining microglial phenotype throughout disease progression we can gain insight into their role in disease pathology. This project seeks to improve and maintain the oral health of people who move into residential aged care by providing an objective way to document they are receiving effective oral care. The project is a staff initiative. It is the result of a suggestion by staff at the Fred French and Peace Haven Homes of Masonic Care Tasmania, Inc. during their participation in a current federally-funded initiative with researchers at the University of Tasmania. The specific aim of the funded project is to decrease cases of aspiration pneumonia through testing the effectiveness of a new model of oral health care. Staff have suggested the value of adding an objective way to obtain and regularly analyse oral bacteria and this is the focus of the project we are presenting to the TCF.Residents in aged care are particularly vulnerable to aspiration pneumonia. This type of pneumonia is directly related to poor oral health. Poor oral health alters the type of bacteria growing in the mouth and throat. If residents have a swallowing problem (dysphagia), they are more likely to aspirate material into their lungs. If residents with dysphagia have poor oral health, they aspirate pathogenic bacteria and this greatly increases the likelihood of aspiration pneumonia, resulting in unplanned hospitalisations and death. In Australia, the cost burden of this acquired pneumonia has been estimated at more than $500 million each year. The funded model being evaluated has three essential components: (i)Increase staff knowledge with the support of a Community of Practice including residents, healthcare professionals, community members, residential community leaders, legislators (to bridge the practice-policy divide), and on-site supervised dental/oral health therapy, nursing, and medical students,(ii)Provide daily evidence-based oral care a 3-month period of 2-minutes of teeth cleaning after meals using timed electric or regular toothbrushes, or daily denture care. For residents who cannot adjust to the electric toothbrushes, staff are developing 2-minute strategies for using regular toothbrushes, e.g., brushing to a series of enjoyed and resident selected 2-minute recorded songs,(iii)Monitor compliance from their ongoing experience, staff have suggested the potential advantages of the proposed objective and regular analysis of oral bacteria.Increasing and maintaining residents oral health will decrease the load of pathogenic oral bacteria and thus decrease residents risk for developing aspiration pneumonia. Understanding the type of pathogenic oral bacteria that are associated with aspiration pneumonia and ill health will further support staff to provide daily oral care. Bacteria will be gathered from non-invasive swabs of tissue from residents gum, hard palate, cheek, and tongue. Results of these regular analyses will reinforce how effective oral care can reduce the clinical indications of aspiration pneumonia and ill health and the personal and economic consequences of unplanned transfers or admissions to hospital. This cost-effective model can then be easily implemented in any residential aged care community. Amyotrophic lateral sclerosis (ALS) is characterized by degeneration and loss of nerve cell processes. The resulting loss of connectivity is likely to be the key contributor to the clinical symptoms of disease and is evident from the substantial axonal pathology present. In this project we will investigate mechanisms of axonopathy resulting from pathologic TDP-43, a key contributor to disease. We will utilize a novel of of axon degeneration in the cisual system which allows us to directly probe changes in the axon. This study seeks to elucidate a potential causal mechanism for Alzheimers disease: that plasticity drives disease pathology, and that sleep compensates for these effects of plasticity in a manner which declines with age. The study will manipulate levels of cortical plasticity and the duration of sleep in a transgenic rodent model, the APP/PS1 mouse, and track the resulting development of pathology. Neurons have been the main focus of research and the target of therapeutic development in Amyotrophic Lateral Sclerosis (ALS). Previous studies have display evidence showing the potential involvement of other non-neuronal cells in the disease progression including astrocytes, microglia and oligodendrocytes. Although loss of myelin and oligodendrocyte degeneration has been identified, it has been mostly regarded as a secondary event occurring as a response to the degeneration of axons. Our recent studies have shown evidence supporting the potential active role ofTDP43 (TAR-DNA-binding protein 43) in oligodendrocytes development in vitro. These results suggested that alteration of TDP43 expression could induced oligodendrocytes pathology in ALS and is possible to have an active contribution to disease progress in ALS as well as the onset of the disease. This project explores the emerging role of microglia in facilitating changes to neuronal connections, synaptic plasticity or the ability of the brain to remodel throughout the lifespan in response to a changing environment. Using state of the art imaging techniques, this project will explore microglia-synapse interactions in real time, to elucidate the role microglia play in synaptic plasticty in Alzheimer's disease and throughout ageing. Funds will be used to procure services from BPA that will support proteomics and research projects on, respectively, molecular mechanisms of DFTD and the physiological response of diatoms to environmental stresses. Establishinga mouse model of mild gestationaliodine deficiency to study its effects on brain structure and function. It has been estimated that between 30 and 50% of dementia cases may be preventable by addressing modifiable risk factors such as vascular factors and complex mental stimulation. Increasing levels of education at a younger age have been associated with decreased risk of developing dementia in older ages, leading to the suggestion that building cognitive reserve may provide greater resilience to dementia. The Tasmanian Healthy Brain Project (THBP) is a large scale prospective trial that examines whether the real-world intervention of university-level study, as a form of complex mental stimulation, in older adults may provide benefits to cognitive resilience, so as to reduce ageing-related decline in cognitive performance, and reduce the risk of dementia. The initial phase of the THBP (2010-2015) involved identifying genetic interactions that may modify risk of ageing-related cognitive decline and mediate the benefits of engagement in complex mental stimulation. In addition, the THBP has developed constructs to measure prior and current levels of cognitive reserve and performance. The proposed project will realise the long term outcomes of the THBP to determine how a university course-based intervention may affect cognitive capacity through ageing and if it may effectively protect individuals from significant decline and dementia. Furthermore, we will determine how common variations in genes linked to brain plasticity, such as brain-derived neurotrophic factor (BDNF) gene, may modify how an individual gains potential benefit from the intervention. In this regard, a genetic profile comprised from BDNF and apolipoprotein E polymorphisms, may also predict those at greatest risk of dementia. Finally, we will investigate whether BDNF protein levels in blood may serve as a biomarker for the effects of the intervention and/or as a potential indicator of relative risk or protection from significant cognitive decline. The overall aim of this project is to examine mechanisms of axon degeneration in Alzheimer's disease to trial axonal and synaptic protective strategies in vivo and in vitro. Understanding the organisation, structure and mechanisms of the human brain and nervous system remains one of the biggest challenges of science. This project will develop a new cell culture platform to form defined molecular networks of brain cells and to monitor changes throughout the network in response to a small localised injury within the network. This innovative platform will be used to help understand changes within cells in response to physical damage to networks of brain cells. This is one of the major causes of death and disability in developed nations, and is identified as a risk factor for a range of neurodegenerative diseases including Alzheimer's, Parkinson's and motor neuron disease. There is considerable evidence from many areas of clinical and basic medical research that in MND motor neurons may be dying due to a toxicity that is triggered due to their over activity known as excitotoxicity. There is new evidence that this toxic cascade may initially be triggered by the death or dysfunction of another type of neuron in the brain the interneuron. Interneurons are critical regulators of motor neuron activity and modulators of the balance that is essential for normal brain function. Research has developed a method of specifically growing interneurons and/or motor neurons, derived from transgenic mice developed to model MND, in primary culture. This highly specific brain in a dish approach will allow us to determine if the presence of abnormal or pathogenic interneurons can lead to abnormal motor neuron function and pathology. Not only would these studies provide important insight into the mechanisms responsible for ALS, but they would also provide a high throughput model for later assessing potential therapeutic interventions. Current research on frontotemporal-lobar dementia (FTLD) is focused on the detrimental effect of the pathological proteins in neurons. However, in FTLD, protein aggregates are also found in oligodendrocytes, which are responsible for myelinating and supporting axons. FTLD has a strong genetic and pathological links with Amyotrophic Lateral Sclerosis (ALS), the most common form of motor neuron disease. In ALS there is now substantial evidences suggesting that oligodendrocyte degeneration is involved in disease pathogenesis potentially as a primary pathologic mechanism. Both FTLD and ALS share the common pathologic protein, TDP-43, which is found to aggregate in oligodendrocytes, hence it is feasible to suggest a role for oligodendrocyte dysfunction in FTLD. Studies in ALS tissue and mouse models have suggested that defects in the differentiation and maturation of oligodendrocytes as well as their ability to myelinate axons may contribute to the disease. This proposed study aims to establish the role of oligodendrocyte dyfunction in FTLD with a focus on determining the potential role of TDP-43 in the differentiation and remyelination process of oligodendrocytes. This will allow us to have a better understanding in the pathogenesis of FTLD as well as identifying new therapeutic targets for treatments. By achieving the following aims this project will investigate the role of TDP-43 and other ALS/FTLD proteins in the normal function of the axon and determine how this may contribute to the pathogenesis of disease. Aim 1: to determine the normal localization of TDP-43 and other ALS/FTLD proteins Aim 2: to determine the effect of protein overexpression or knockdown on the axonal proteome (proteomic analysis) and the expression of axonal mRNA. Aim 3: to determine the effect of directing ALS/FTLD proteins to the axon. Aim 4: to investigate the effect of TDP43 and mutants expression on axons in vivo in a retinal model Aim 5:Determine if mutant TDP-43 can be transferred from the axon to oligodendrocytes. In the last seven years a number of proteins have been identified that are pathologically or genetically associated with Frontotemporal Lobe Degeneration including TDP-43, FUS, C9ORF72 and progranulin. As ubiquitously expressed proteins it has been difficult to assess the role these proteins play in disease, particularly associated with ageing. This project proposes that the disease-associated roles are likely to stem from functions that are specific to neurons and/or glial cells. Accumulating evidence suggests that many of these proteins are involved in neurite outgrowth and cytoskeletal maintenance. This project will use a threefold approach to investigate the role of FTLD proteins in disease. First, it will utilize novel primary cell culture techniques that allow compartmentalization of the neuron to probe axonal and somatodenditic mechanisms. Second, it will utilize an in-vivo intraocular injection model to rapidly examine the effect of mutant and non-mutant proteins on downstream connectivity. Finally, it will investigate neurite pathology in human tissue. This project will provide mechanistic insight into the role of FTLD proteins in disease. Alzheimers disease (AD) affects approximately 11% of the population over 65 years and up to 50% of individuals over 85 years and is now the 3rd major cause of death in Australia. In the absence of effective therapeutic intervention it is imperative that we renew our research efforts along novel and innovative lines to prevent, palliate and/ or reduce this condition. One of the key features of AD is the degeneration of the long nerve processes or axons. These are susceptible to damage and this can result in nervous system disconnection and failure even in the absence of cell loss. My research focuses on understanding why axons degenerate in neurodegenerative disease with the aim of finding effective therapeutic agents to prevent this loss. Due to our lack of mechanistic insight into axon degeneration mechanisms, there are currently no therapeutic drugs that target axon degeneration, and this could be one reason to account for the failure of many therapeutic agents that provide only neuronal protection. Therefore axon protection strategies may offer promise in preventing or delaying the ongoing clinical symptoms of the disease. To address this important issue, I have developed a novel cell culture technique that uses microfluidic technology to separate neuronal axons from the soma. This allows us to probe the cellular mechanisms of axon degeneration in conditions related to AD. Using these novel in vitro techniques I have begun to unravel some of these mechanisms and identify some potential points of intervention. Specifically, I have examined axon degeneration mechanisms following excitotoxicity, which results from overstimulation of neurons. Excitotoxicity is one of the key causes of nerve cell degeneration in AD. My work has shown that excitotoxicity causes axons to degenerate and that destabilization of microtubule proteins is an early event in this degeneration. Importantly, stabilizing microtubules with drugs such as taxol and epothilone D prevents axon degeneration following excitotoxicity in our cell culture model. Taxol and epothilone D are both agents that are currently approved for use in the treatment of cancer. The next step is to test whether these agents can block axon degeneration in animal models. In order to do this I will use two models. Firstly I will use an in vivo model of axon degeneration induced by excitotoxicity. This will be used to directly confirm that microtubule stabilization with epothilone D can protect axons from degeneration following excitotoxicity in vivo. Secondly I will use a mouse model of AD which develops axon pathology and for which excitotoic mechanisms are implicated. This AD will be treated with Epothilone D and pathology examined as well as cognitive function. This project will provide preliminary data to pave the way to expanding the project by obtaining significant funding from national research funding schemes such as NHMRC.